When obtaining a mortgage, it is very important to understand which fees are applicable and what the allowable application fee on a mortgage may be. There are laws that protect a homeowner's right to be aware of any and all fees he may be charged when applying for a mortgage. If you are in the process of obtaining a loan for a mortgage, it is very important that you familiarize yourself with the Truth in Lending Act. This Act protects the consumer as it requires the disclosure of all fees from the application fee to the applicable interest rate. This Act also helps to prevent the occurrence of fraud as it allows individuals to know before taking a loan what fees can be charged. In particular, Part E of the Truth in Lending Act is applicable to many mortgage transactions. It includes specific information on the loan cap amounts along with information on the various limitations that are set for loans over a specific amount. It also details the actions that are prohibited in regards to transactions involving mortgages. It is recommended that you make yourself familiar with this particular act so you are aware of rules and regulations that are applicable for mortgage transactions before you make any decisions. When you apply for a mortgage, there are several additional fees -such as the allowable application fee on a mortgage- that you should be aware of as a prospective homeowner. An application fee is a fee that you pay just to apply for a mortgage. 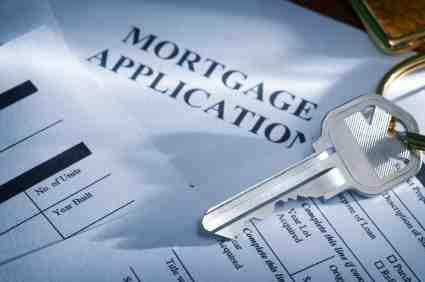 It is usually considered as payment for the underwriter's time in evaluating your mortgage loan. Generally, there is no clear minimum or maximum that a lender can charge for an application, but if this dollar amount seems too high, don't pay it; instead, consider another lender that doesn't charge an application fee at all. The types of fees that are allowed when you apply for a loan, in general, are largely dependent on whether or not you are financing your mortgage through a private lender or through a government-backed lender. Although there are private lenders that will allow markups for some fees, government-backed loans typically do not permit this. If you are financing your mortgage through a lender offering a Federal Housing Administration loan, for example, you can expect to pay origination fees and loan processing fees for items such as title searches and appraisal and credit report costs. You likely will not see a separate application fee in most cases. Many of the fees you will pay are simply the closing costs involved with purchasing any home. Points, which are equivalent to prepaid interest that is paid to the lender. Oftentimes, the point system is used as an alternative to a higher interest rate on a mortgage. These are just some of the many fees that are associated with obtaining a mortgage. Knowing which fees are applicable to your mortgage process is very important, particularly when you are nearing the closing process and sealing the deal for a home.